Aquamarine And Diamond Pendant Set in 14k White Gold( 2cts Aquamarine ) See Specifications for more details. ..
Blue Sapphire And Diamond Pendant made in 14k White Gold (0.8ct Bs) See Specifications for more details. SHIPPING DETAILS&..
Blue Sapphire And Diamond Pendant made in 14k White Gold (1ct BS) See Specifications for more details. SHIPPING ..
Blue Sapphire And Diamond Pendant Set in 14k White Gold (1.5ct Bs ) See Specifications for more details. SHIPPING DETAILS&..
Blue Sapphire And Diamond Pendant Set in 14k White Gold(1ct Bs ) See Specifications for more details. SHIPPING DETAILS ..
Emerald And Diamond Pendant made in 14k Yellow Gold (1.2cts EM) See Specifications for more details. SHIPPING D..
Green Garnet And Diamond Pendant made in 14k White Gold (2.25cts Green Garnet) See Specifications for more details. S..
Green Garnet And Diamond Pendant made in 14k White Gold (2cts Green Garnet) See Specifications for more details. SHIP..
Green Garnet And Diamond Pendant made in 14k Yellow Gold (2cts Green Garnet) See Specifications for more details. SHIPPING..
Green Tourmaline And Diamond Pendant made in 14k Yellow Gold (4cts Green Tourmaline) See Specifications for more details. ..
Morganite And Diamond Pendant made in 14k White Gold (4cts Morganite) See Specifications for more details. SHIPPING D..
Morganite And Diamond Pendant Set in 14k White Gold (2cts Morganite ) See Specifications for more details. SHI..
Orange Sapphire And Diamond Pendant made in 14k White Gold (ct OS) See Specifications for more details. SHIPPING DETAILS&n..
Pearl And Diamond Pendant made in 14k White Gold (5.5 mm pearl) See Specifications for more details. SHIPP..
Pearl And Diamond Pendant made in 14k White Gold (8 mm pearl) See Specifications for more details. SHIPPING DET..
Rubellite And Diamond Pendant made in 14k Yellow Gold (4cts Rubellite) See Specifications for more details. SHIPPING ..
Ruby And Diamond Pendant made in 14k Yellow Gold (0.8ct Ruby) See Specifications for more details. SHIPPING DETAILS&n..
Swiss Blue Topaz And Diamond Pendant made in 14k White Gold (7cts Blue Topaz) See Specifications for more details. SH..
Tanzanite And Diamond Pendant made in 14k White Gold (1.5ct TZ) See Specifications for more details. SHIPPING DETAILS..
Tanzanite And Diamond Pendant made in 14k White Gold (2.5ct TZ) See Specifications for more details. SHIPPING DETAILS ..
Tanzanite And Diamond Pendant made in 14k White Gold (2.5cts TZ) See Specifications for more details. SHIPPING DETAIL..
Tanzanite And Diamond Pendant made in 14k White Gold (2ct TZ) See Specifications for more details. SHIPPING DETAILS ..
Tanzanite And Diamond Pendant made in 14k White Gold (2cts TZ) See Specifications for more details. 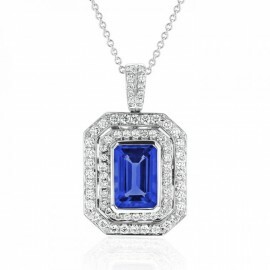 SHIPPING DETAILS&..
Tanzanite And Diamond Pendant made in 14k White Gold (3.5ct TZ) See Specifications for more details. SHIPPI..
Tanzanite And Diamond Pendant Set in 14k White Gold (1ct Tz ) See Specifications for more details. SHIPPING DETAILS..
Yellow Sapphire And Diamond Pendant made in 14k Yellow Gold (3cts YS) See Specifications for more details. SHIPPING D..